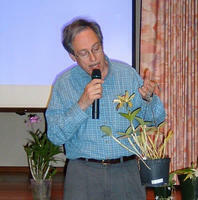 Welcome to the Palomar Orchid Society Website! The Palomar Orchid Society, incorporated in December of 1965 was formed when a few people banded together to talk about orchids. We then grew and bloomed into the roughly 200-member group of orchid enthusiasts that we have today. We represent everything orchid in North San Diego County! Come and join us!! The Palomar Orchid Society is a non-profit organization dedicated to promoting the understanding and cultivation of both hybrid and species orchids. We welcome members of all levels to join us for orchid fun and learning! Our mission is to promote interest in the appreciation of orchids and to provide an opportunity for their display and the exchange and dissemination of information relating to their culture. Fred ClarkeCatasetum, Cycnoches and Mormodes are three related genera from the Tribe Cymbidieae. Individually, each has been considered an orchid oddity, or “botanical”, of interest mainly to the seriously addicted enthusiast. These plants have a brief deciduous period in winter, when the plants need a definite dry rest period bordering on neglect. These robust orchids are native to lowland tropical forests in Central and South America and are usually grown in warm or intermediate conditions. 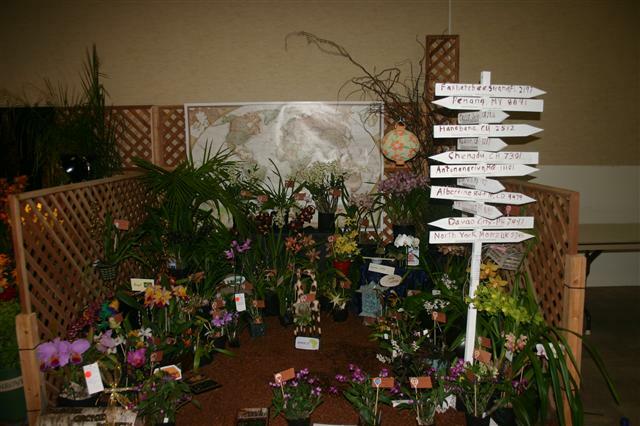 Our award-winning display at the 2009 San Diego County Orchid Society Show.